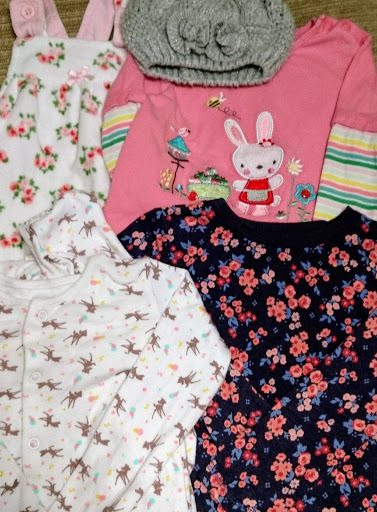 Jumble sale haul: The joys of rummaging and finding! At first thought, jumble sales may seem like an activity of the past that appear to be doomed to the history books. Since the general public started tightening their purse strings and focusing on saving rather than spending, the humble jumble has seen a sort of revival. Let’s face it – everyone has junk that they want to see the back of. If you haven’t been to a jumble sale before think of it like a car boot sale, only indoors, in the warm, with less walking! A little village near to where we live has started hosting a jumble sale once a month to raise funds for various charities. Each month the hall where the jumble sale is held is filled to the brim with bric-a-brac, clothes, toys, children’s equipment and so on. This means that every month there are bargains to be had and I for one really enjoy the thrill of rummaging through and not knowing what you might find at such small prices. I was delighted to come away with two beauty items at my most recent jumble sale both of which were originally from The Body Shop. One was the Body Shop Tea Tree skin clearing foaming cleanser for the face which I’ve often used before and really like. It has an almost astringent quality due to the tea tree oil in its formulation and I find it is clarifying and brightening on my combination skin. 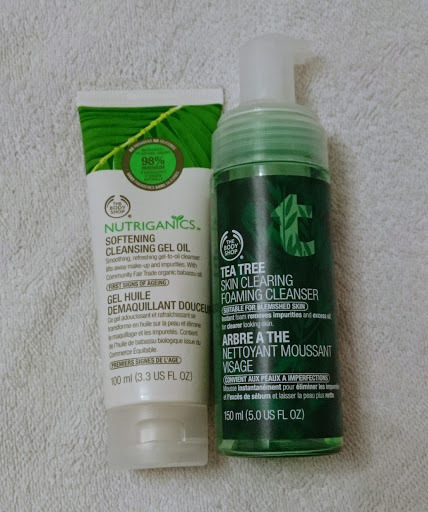 The other was the Body Shop Nutriganics softening cleansing gel for the face which boasts no parabens or silicone and turns from a gel into an oil on contact with skin, finally blending into a milk when washed away with water. This product has a luxurious feel and it reminds me of the Clarins pure melt cleansing gel that I used to indulge in many moons ago! For just 10p each both of these items were absolute bargains! I managed to find a baby’s painting apron which I’ve used a couple of times since buying it because it is so useful when weaning. I was also lucky enough to find another Tommee Tippee silicone bib on the children’s stall. 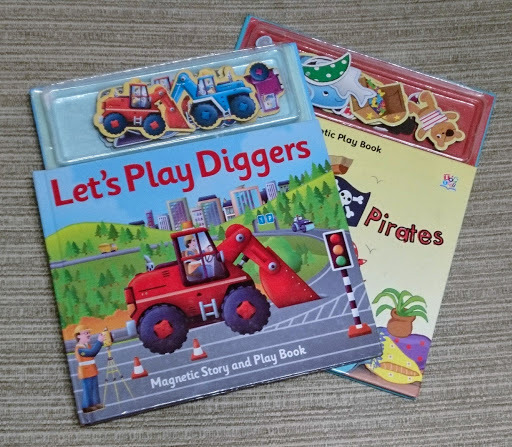 As well as this we found a pink pig push-a-long wooden toy for a toddler, two board books complete with magnets which help to tell the story and a Hello Kitty mermaid plush toy. In the Summer I purchased a dining set (from a charity shop, of course!) complete with four dinner plates, four side plates and four bowls. At the time I ummed and ahhed about spending £7 on the lot. However, I reasoned that the purchase would allow us to free up some of our kitchen cupboard space and we had a clear out the next day. Unfortunately, Thrifty Dadda then accidentally smashed three of the bowls leaving us with just one bowl to use! As I walked up to the jumble sale entrance I spied through the window two bowls which looked almost identical to the ones I had purchased in the Summer. On closer inspection, I was really pleased to find that the two bowls would be great replacements and I purchased them there and then! 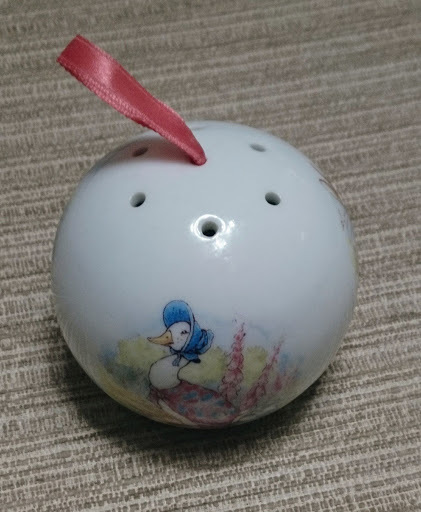 My favourite item in the haul is this Beatrix Potter pomander. It is a spherical ceramic ball painted with pictures of Jemima Puddle Duck, Peter Rabbit and Mrs Tiggywinkle. You fill it with lavender and hang it in a wardrobe or place it in a drawer to lightly scent clothes and keep moths at bay. 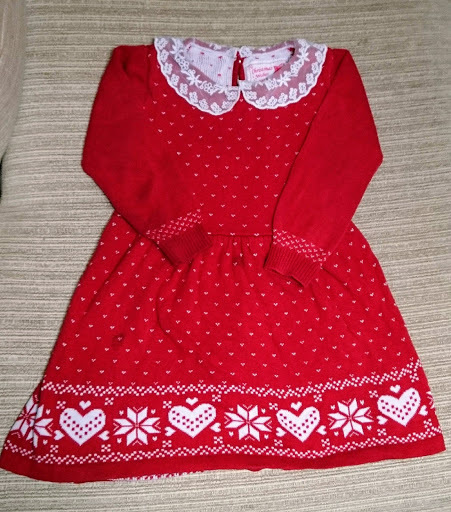 It is the kind of vintage gift children used to be given for their birthday or christening and for just 20p I couldn’t leave it on the stall! So, the next time you see a sign for a jumble sale don’t dismiss it – another person’s trash is another person’s treasure and you might just find something that is useful at a teeny tiny price! When was the last time you went to a jumble sale? 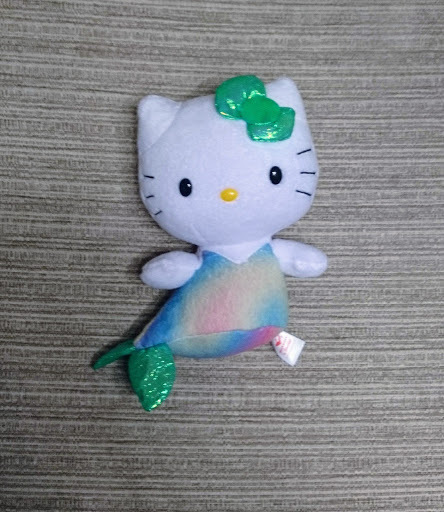 What is your best jumble sale find to date? Let me know – I love a good bargain! We are finalists in the Cotswold Blogger Awards. 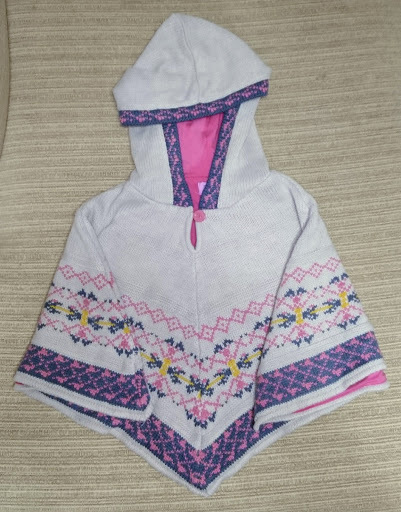 If you enjoy the blog and would like to vote for us then please click here and simply comment ‘Thrifty Mumma Thrifty Bubba’ on the LIFESTYLE post. Thank you! Thank you so much to those of you who have subscribed to the blog already – I really appreciate it and I hope you are finding my posts of interest. If there is anything in particular you would like to see, a topic that you think would suit the blog or you have a collaboration in mind then please email thriftymummathriftybubba@gmail.com. If you haven’t subscribed yet, it’s simple and free. If you are a social butterfly and social media is more your thing, connect with us on Facebook, Instagram and Twitter. We hope to see you there! Next Cotswold Blogger Awards: I’m a finalist!